If you ever tried to play a sport like tennis or beach volleyball on a strong sun you would be wondering how this is even possible without sunglasses. Not only sun is very annoying, it is destructive for the effective play. You may not see half of the court, it is especially hard to serve or volley. Games like tennis are very dynamic. It is essential to see every side of the court at all times. The ball changes direction every second and if not seen at all times, tennis player may miss a score. Each score could be crucial game changer during tennis game, so if sunglasses are at fault they will not be worn. Sam Stosur has proven everybody wrong my winning US Open last year. Clearly sunglasses were not only no problem for her, they seem to be very helpful. But give that Oakley is her official sponsor I am sure they sat together and created a special pair of sunglasses for her. What she is wearing looks very much like Oakley Radar Path or Oakley Radar Range, but it may be very much reworked pair to fit her needs and face structure. Sam’s cheek bones are very high and Radar sunglasses models are known to be not a best fit for that. They are however great because of the wrap around structure and little frame. No other sunglasses are known to fit a game better than Oakley. But today only one player from entire women and men tennis tour are wearing sunglasses. Yes, unfortunately sunglasses deemed to be not safe for tennis, thus are part of safety standards for many tournaments. In fact many child tennis groups forbid sunglasses of any kind. Safety glasses are allowed because they are made from special material, to withstand a crash. Sunglasses, even Oakleys are not made out of that. Adults like Sam take full responsibility for their own actions, but coaches will not do that for children. So professionals grow up not wearing sunglasses and are so used to go without them that don’t bother in their professional career. Lately tennis stars are criticised for what they are wearing a lot. Stars like Maria Sharapova changed the reputation of professional tennis game for ever. She is known to change a dress every single tournament and is known to personally design some of her dresses. This is a special deal she got with Nike. While she is always admired for her fashion touch, some players, such as Kim Clijters (wearing Fila) is often part of negative coverage. Fila’s style is very sporty and loud colors combination looks a bit kitch. Looking at Sam Stosur few people would argue that she looks better in sunglasses. Sunglasses look more like a mask on her face. They don’t look good. Why do you think sunglasses are not popular in professional sports? This is the presentation in support of Lance Armstrong foundation. Lance Armstrong to Lose all Titles. Is it Fair? Today USADA (US Anti Doping Agency) has won a fight against Lance Armstrong, worlds most famous cyclist, to strip him of all titles and ban him for life from ever competing again. These news are rather shocking, given that ban span over a decade back, making Lance worlds most penalized athlete. Up until today most of people know Lance Armstrong as the only athlete to ever win 7 Tour de France competitions. America’s best also scored a bronze and silver Olympic medals. He is also known for his charity Livestrong, largest private contributor to testicular cancer research. Since the foundation was formed in 1997 it raised over $500 million. Oakley Livestrong collection of sunglasses was among the main tools of that. But USADA found its reasons. Organization that was formed in 2000 to uncover “cheaters” of sport, was on Lance’s tail since the beginning. It all started in 1999 when after winning Tour de Frace Lance’s urine contained a very small, acceptable amount of anti-inflammatory drug. USADA put Lance on a hot list of potential offenders. Next serious allegation came in 2004 when he was denied $5 million bonus by a sponsor for winning Tour de France that year because of media speculations that he “might have” used banned substance. There was no proof, but clearly $5 million was worth a fight for a sponsor. Rumors took over with some testimonies from former teammate and his ex wife that he allegedly confessed to cancer treatment doctors that he used steroids in the past. The fact that these were just rumors from people having obvious motive to undermine his reputation, was not taken into account. Last Tour de France performance was in 2009 when he came third. All of this after fighting a deadly cancer. Can a man of the Lance Armstrong profile be really taking banned drugs for years, continuously passing all kind of doping tests? How can one year where he clearly passed the test be put as a proof for all next years when tests came out clean? And what power does USADA over Tour de France, a private competition run over Amaury Sport Organisation (ASO). By the way ASO has yet to come out with a statement regarding this. We surely hope that this will not affect the reputation of Livestrong collection of Oakley sunglasses. 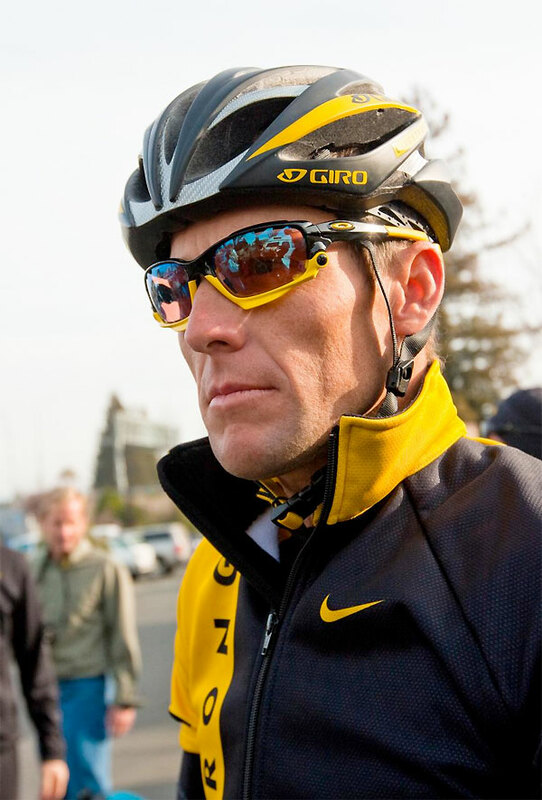 Maybe Livestrong Oakleys will soon become a collectible? Oakley produces over 1000 various sunglasses models each year. Amount of choices of colors, shapes, types and sport designations is overwhelming for most people. In many cases retail store associates are not able to explain or guide customer because they are as confused as any one else. The worst part is that customers who are really into Oakley sunglasses, know so much that they will outperform any store associate from a regular optical store. So, what can you do to make an educated decision? Oakley company treats their products like a science. They spend millions of dollars every year on researching how to make their products more relevant and suitable for the upcoming world spots events. This year was London Olympics, next year it will be something else. Of course the company is very happy to share their scientific discoveries on their website and through press and media. You don’t need to worry about it. Unless you really want to, don’t waste your time on learning how one mm of lense depth will benefit you if you were to play golf wearing Oakley Flack Jacket Gold Specific glasses. When buying Oakley sunglasses people really have two objectives. One to buy them for sport, another to buy them for style and convenience. This will eliminate half of your choices. Oakley sport glasses are very sporty looking, they will look weird with suit or even casual wear. On the other hand their everyday wear collections will not be as good for sports as they are not designed to stay on the head during rough athletic movements. If you play golf, you want glasses that don’t interfere with your peripheral vision, otherwise anything else is not as important. Of course, you want them snug so they don’t slide as you lean down. In the last 100 years millions of women passed away to breast cancer. Although in the last 10 years statistics has been steadily improving, breast cancer is still tragic problem. Improvement is a result of huge amount of research performed across the world and millions of dollars raised in the United States and Europe. But statistics are still very brutal . In the United States breast cancer has the highest recorded incidental rate as compared to the rest of the world: 298 out of 100 thousand in the past year. Breast cancer is second most common after skin cancer. Before writing this article I didn’t know that breast cancer has second largest mortality rate, only proceeded by lung cancer. Two years ago it was a reason for 40,000 deaths in the United States. That made 2% of all deaths among woman. To my surprise there were around 500 men who died of breast cancer in that year out of 2000. 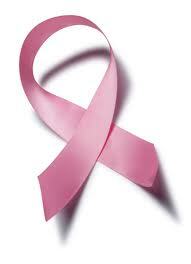 Breast cancer is also one of the earliest forms of cancers recorded in medical history. Perhaps because of its visual factors since it affects external organs. The first mentioning of it was in 1600 BC recorded in Egypt. Mastectomy – a surgical removal of breast was performed since 6th century and was a cause of death in a large percentage of cases. It wasn’t until 1800 when only affected breast tissue and lymph nodes were removed from the breast preserving most of the organ. However breast cancer was not as frequent as today because most of people didn’t live long enough to have it, dying before age of 50. Presently breast cancer fundraising is very active. As of recently, month of October is deemed a National Breast Cancer Awareness month with many fund raisers taking place across the world. Such activities are carried out to promote mammography, a screening test that allows catching the disease in early, most curable stage. Big percentage of money raised goes towards service and equipment for the mammography with the goal to make it free of charge. Pink ribbon is a national emblem of the breast cancer awareness. More and more media coverage is available on prevention of breast cancer. It has been proven that alcohol and smoking are among main causes of cancer. Also rapid weight gain and declined breast feeding are among known factors. Some studies uncovered that those women who maintained their normal weight throughout adult life had 50% less risk of developing breast cancer after menopause. A number of companies have been particularly active in giving and raising money for breast cancer research. There are thousands of charity dinners, fund raising activities involving profit sharing from sales, dedicated lotteries and online campaigns carried out every year. Over $100 million dollars is raised every year. Oakley, one of the most renowned American brands has launched a signature pink ribbon Oakley Sunglasses, proceeds of sales of which goes toward breast cancer research every year. Over $600,000 was donated in 2009 as a result of this campaign. We are so happy to find this statistics and share them with you. Knowing is power! This beautiful sunglass is called Oakley DANGEROUS and retails for only $220.